Here’s the deal: not all banks are created equal and there’s not a lot of clear information on how to close a bank account. Like many of us in banking relationships, you probably had a good start and all was going well. Then things started to get complicated and expensive. There were overdraft fees, monthly fees, minimum balances fees, scandals, and shady practices. And, perhaps the worst part: you felt as if you were giving up more than you were getting. Banking the way it should be. Signing up is free and takes less than 2 minutes! Don’t worry, there’s still time and there plenty of other no fee banks in the sea that fit your needs. Now you just need to break up with your bank and figure out how to close a bank account. If you feel like you’re ready to part ways with your bank an open new account with a better banking option, take a look at our primer on how to close a bank account at the top 5 big banks. First, you’ll want to find a new bank. 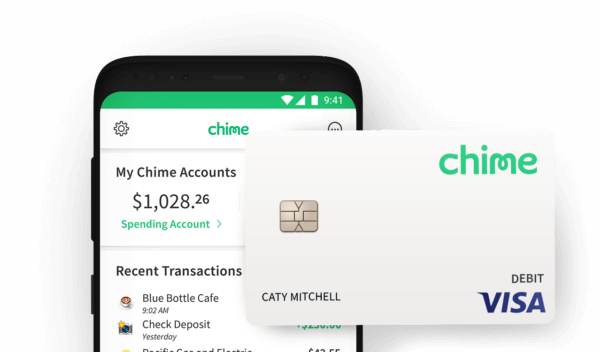 If you’re fed-up with bank fees, want a better mobile banking experience, and need a bank that actually helps you save money, Chime is a great new bank account option. Opening a Chime bank account only takes a few minutes and can be done from your phone or desktop. Get started today! Track down and document all of your bills on autopay to ensure there is no lapse in payments. A good way to make sure you’re covered for all of your auto-payments is to pull up your last month’s statement and find the monthly recurring transactions. Look for: power, garbage, transit passes, subscriptions, etc. For subscription services, Chime offers a Bill Switch option which allows you to instantly switch bills for services like Amazon, Netflix, Spotify, and more once you enroll. Make it official and stop using the bank account you are closing. Keep the account open for a couple of weeks and leave a small cushion in the account (i.e. $100-$200) to cover any unexpected transactions or bank fees like maintenance fees or minimum balance fees that may hit your account while you’re making the transition. Have your account numbers and an I.D. at the ready to answer any security questions. If your bank requires you to cancel in person, be sure to fill out the required documentation ahead of time so that you can make the process as painless as possible. 1. How to cancel a Wells Fargo bank account and debit card. Wells Fargo has seen a flurry of press coverage over the last year — and not the good kind. As it turned out, Wells Fargo employees created millions of fraudulent accounts in order to try and inflate their sales numbers, according to the New York Times and other published reports. Not only did Wells Fargo create fake accounts, but employees received bonuses for meeting phony sales goals, too. Calling 1-800-869-3557. Submit a request to Wells Fargo to cancel the account. You can do this either online, in-person, or over the phone. If you have a remaining balance, you’ll want to transfer your funds to another financial institution before closing your account. You can also fill out the Account Closure or Partial Withdrawal Request form if you want your balance to be sent to you via check. Make sure you switch the accounts on any bills you have on auto-pay, so your payments can continue to go through. Signing into your Wells Fargo account and going to ‘Contact Us’. From there, go to the ‘More’ menu to submit a formal request to close your account. To make sure Wells Fargo canceled your account, get a written confirmation for your records. Transfer your remaining funds to your new bank account. Fill out the Account Closing Form. You’ll need to provide information, including the name of the account, your address and the address where you want Chase to send you the remaining balance in the account. Bring the form to a nearby Chase branch and request to close your account. You can also call Chase at 1-800-935-9935 to get assistance with closing your Chase account. To cancel the account completely, make sure you get written confirmation for your records. Transfer any remaining balances to another financial institution. Then, update your payment preferences on bills that use auto-pay so you can continue to make payments automatically. Go to a local Bank of America branch to close your Bank of America account. Call Bank of America at 800.432.1000 to close the account. Send a written request to close the account to: Bank of America, FL1-300-01-29, PO Box 25118, Tampa, FL 33622-5118. Sign the letter and include instructions on how to receive your remaining balance, if eligible. You might be wondering, “Can I close my bank account online?” It appears that you cannot close a Bank of America account online, so your safest bet is to use one of the three methods above. To confirm closing a bank account, get a written confirmation for your records. Closing bank accounts can be difficult as there are not always clear-cut instructions on how to do so. If you’re wondering how to close a PNC bank account, it can be tough to find available information online. Transfer any remaining balances to your new bank account. Update your payment preferences on bills that use auto-pay so you can continue to make payments. Close your PNC account online through their chat system or go in-person to your local branch. You can also call their customer service line at 1-888-PNC-BANK for assistance on how to close the account. When closing a bank account with PNC, be sure to get a written confirmation for your records. Transfer any remaining balances to your new bank account Update your payment preferences on bills that use auto-pay so you can continue to make payments. Visit your local Citibank branch and tell them you want to close the account. Call 1-888-CITIBANK (1-888-248-4226) to talk to a representative and let them know you’re interested in closing a bank account. Send a message through your Citibank online portal with a request to close the account. If you want to close Citibank accounts, be sure to get a written confirmation for your records.